Bar fly is pleased to report that the Bush Inn Kirkbride reopened on Friday 12.April. He wishes Steve and Stevan well with their new venture. Wetherspoons beer festival on until Sunday 7 April currently sees Woodies selling more real ale than any other 'Spoons' pub. Barfly is sad to report that Dockray Hall has closed. It is hoped that this is only temporary. Has reopened following its refurbishment. Currently selling up to four real ales. The new owner has informed barfly that the CROWN & THISTLE will definitely sell real ale when it reopens. No date has been set yet but it is expected before Easter. Bar fly is pleased to note that a brewery tap has opened at the newest brewery in our area the Old Vicarage Brewery Walton on Friday and Saturday Evenings. Barfly is pleased to congratulate the Old Crown on its 15th anniversary as a Cooperative Pub. Barfly has noted that the George Hotel Penrith has been sold. Barfly has heard there is a new cider producer in our area Cumbrian Cider Company based at Boltongate near Wigton. The FOX & PHEASANT ARMATHWAITE is now serving real cider believed to be Old Rosies. Bar fly has heard that the WHEATSHEAF ABBEYTOWN is now serving real ales from the local Derwent Brewery. Bar fly has heard that the OLD CROWN HESKET NEWMARKET is looking for a new manager. PENTON BRIDGE: Reopened as planned and barfly is pleased to confirm it has a local real ale on sale. DURDAR BLACK LION has reopened as a Gastropub. It does however has one real ale available. CARLISLE , SPIDER & FLY. has opened in the former Hourglass premises in Stanwix. It is now selling Carlisle Brewing Company's excellent Flaxen from a single hand pump. CARLISLE COCO MILL: This has opened and Bar fly is pleased to report there are 3 hand pumps on the bar dispensing Fullers London Pride, Thwites Wainwright and Cumria Legendary Ales Loweswater Gold. CARLISLE, PLAYERS Sports Bar and Grill has opened in the former Mood Club in Botchergate. Sadly when barfly looked in there was no real ale available. PENRITH, FELL BAR has opened in the former Moo Bar and showcases beers from the Fell Brewery with 6 handpumps available. PENTON, BRIDGE: Due to reopen ON 9 October. CARGO FOUR OAKS: Feasibility Study & Business Plan assembled to reopen. CARLISLE , HOUR GLASS, Stanwix: Re-opening imminently as SPIDER & FLY. under stewardship of Alex Murrell from Thin White Duke. CARLISLE COCO MILL: Due to open on Lowther Street 30 Septemer. Real Ale promised. CARLISLE, MOOD: Opening as PLAYERS Sports Bar and Grill with Real Ale. PENRUDDOCK, HERDWICK INN: Has re-opened with temporary manager. PORT CARLISLE, HOPE & ANCHOR: Has reopened with new managers Gary & Val Perks. Carlisle Bar Fly has heard that plans to convert THE CROWN,STANWIX from two rooms to a oneroom pub are to go ahead. The BLACK LION DURDAR is due to reopen soon. The OTTER INN (formerly the Haywain) LITTLE CORBY has reopened with new publicans Shaun and Hazel in charge. Bar Fly has heard that the SHEPHERDS INN MELMERBY has reopened. The pub has three changing locally brewed real ales on sale. Opening hours are 6-11 Tues - Thu; 11-11 Fri and Sat; and, 11-10 Sun. The pub is open on Bank Holidays but closes he following day. Meals are also available. The BOARD & ELBOW PENRITH has been refurbished and now serves three real ales. Bar Fly has heard that the former Moo Bar in Penrith has been acquired by Fell Brewery and has recently reopened. The ROYAL PENRITH has been taken over by Lois and Dave. Very sadly, Shaun and Jo have left the HERDWICK INN PENRUDDOCK and the pub has closed. We wish them well after what must have been a very trying period. 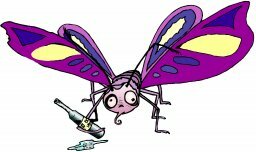 Bar Fly has heard Marstons have plans to reopen the pub. Following the closure of the Bridge Inn, Becky has been running her POP UP BAR, NICHOLFOREST HALL in the village. Bar Fly has heard that the Bar may continue once the pub reopens. The Bridge is set to reopen in September as the PENTONBRIDGE INN. It will sell real ale. The ROBIN HOOD,SMITHFIELD reopened in August with Craig Hennessey and Titanilla Kiss as the new tenants. The pub is now a steakhouse/grill with food service from 12-9pm on Wednesday to Sunday. THE HOPE & ANCHOR PORT CARLISLE has been taken over by Gary & Val Perks. We wish them well in their new venture. Real ale from local brewers is available as well as food all day. Plans have been submitted to extend the BLUE BELL at DALSTON. It is understood that the refurbished PENTONBRIDGE INN, PENTON will open later in August as will the BLACK LION at DURDAR. Barfly is looking out for the exact dates. The BOARD AND ELBOW PENRITH has had a partial refurbishment and is fully operational again. The ANGEL INN ALSTON is now serving food. Plans to create a visitor complex at the western end of Hadrian’s Wall at Bowness on Solway will also include a microbrewery. The CROWN & MITRE HOTEL CARLISLE is again stocking real ale. They have a changing real ale from Hesket Newmarket brewery on sale. The FAT GADGIE in Devonshire Street opened on 17 May. The bar has been extensively refurbished to a high standard. Five real ales and a real cider on sale and there is a 10% discount for CAMRA members with a valid membership card. The excellent HOWARD ARMS on Lowther Street in Carlisle city centre is currently selling real cider. 301 MILES FROM LONDON has opened on platform four at Carlisle Citadel Station. The bar serves real ale. At first these were mainly from regional and national breweries, but some more local beers have appeared. Bar Fly is told more will be appearing soon. The LINTON HOLME HOTEL CARLISLE opened its new kitchen on 9 May and will now be serving meals. The “Lint” serves Yates Bitter on handpump. The LAKELAND GATE Warwick Road Carlisle is selling real ale, Sharps Doom Bar. The STAG INN, CROSBY-ON-EDEN has reopened with new owners Margaret Watson and Ron Brand. It’s good that the pub is at last recovering from the ravages of Storm Desmond in December 2015. The GREYHOUND INN COTEHILL will be running their first beer festival 22 to 24 September. David Jackson and Octavia Gleedwood have taken over the ROYAL OAK CURTHWAITE which has reopened following extensive refurbishment. Real ales are on sale with Timothy Taylor Landlord as the regular beer plus a changing guest beer. The FETHERSTON ARMS KIRKOSWALD annual beer, cider and music festival takes place on 7-9 July with real ale and cider available in the pub, village hall and several other small venues across the village. Bar Fly has heard that the SHEPHERDS INN MELMERBY has reopened. Bar Fly is happy to hear the excellent news that the DROVERS REST MONKHILL has won the 2017 Cumbria Pub of the Year. This is the third consecutive year the superb Drovers has won this award. Penrith Publicans, Lenny and Julie, are leaving THE ROYAL. They took over running the Royal in February 2015. During this time, they have added another real ale pump, which has been welcomed by all the real ale drinkers. Bar Fly on behalf of the Solway branch would to like to wish them all the very best for their next venture. The HOPE & ANCHOR PORT CARLISLE is having a beer festival on 11-12 August. It will feature local real ales, live music and a family day on Saturday. The DOG & GUN SKELTON has reopened and is being run by publicans, Ben and Lizzie. The FOX AND PHEASANT, ARMATHWAITE has a new manager Seve. Barfly wishes him well in his new venture. Likewise the DUKE OF CUMBERLAND, CASTLE CARROCK has a new landlady. Barfly was pleased to attend the presentation of SolwayCAMRA'S Cider Pub of the Year award to Alan at WOODROW WILSON, CARLISLE. Barfly has heard that the LAKELAND GATE, CARLISLE is now selling real ale. the ROYAL OAK, CURTHWAITE which closed in December is being extensively refurnished and is due to reopen soon. Barfly was pleased to attend the presentation of SolwayCAMRA'S Pub of the Year award to the DROVERS REST, MONKHILL for the third year in a row. Give this excellant pub a visit when next in the area. A new pub 301 MILES TO LONDON has opened on Carlisle Railway Station on platform 6. A range of cask ales are available all day until early evening (2000). Another new pub the FAT GADGIE is due to open shortly in the former Moo Bar premises in Carlisle. Barfly will report as soon he hears a date for this. Barfly is pleased to report that the DOG & GUN, SKELTON has reopened under new owners. THE STAG INN, CROSBY-ON-EDEN is due to reopen in May. It was flooded out following storm Desmond in December 2015 so this is good news. The expected refurbishment of THE CROWN in Stanwix,Carlisle has been delayed until July once the 'students' have left for the summer. The BLACK LION , Durdar has been sold and is currently closed for refurbishment. The BRIDGE END Dalston is currently being extended but business is continuing as normal. Sadly the MOO BAR Penrith has closed its doors until further notice. Star pubs is still seeking a new manager for the HARRABY INN Carlisle. GOLDEN FLEECE, Ruleholme is now open everyday from 12 noon. There are plans to refurbish the bar to include a second handpump. NAG'S HEAD Brampton has changed its mealtimes to weekdays from 5-8 and weekends lunchtimes 12-3 and 5-8. HOWARD ARMS Brampton now has its own house beer Howard Arms a 3.8% ale from the Thwaites range. MILBOURNE ARMS Carlisle no longer sells Allendale beers. It has been replaced by national brews such as Draft Bass or Lancaster Bomber. CROWN INN Stanwix Carlisle is due to be refurbished in April with major alterations to the layout. It currently serves Greene King IPA and Crown Ale, which is a national brewery bitter. GREYHOUND Cotehill has reduced the number of handpumps to 1 during the winter months serving a Tirril brew. HIGHLAND LADDIE Glasson continues to serve 3 real ales from national breweries. When in recently it offered Wainwright, Bellhaven Golden Bay and Greene King IPA. The CROWN HOTEL Wetheral continues to serve 3 rotating real ales usually with omne from the local Cumberland Brewery across the river at Corby. The LOWTHER ARMS Cumwhinton serves Jennings Bitter as its regular plus a changing guest from the Marston's range. The SALUTATION INN Irthington re-opened just before Christmas following a £150,000 refurbishment to provide a modern interior with wood burning stoves and wooden floors. The “Sally” is now owned by Shaun Gardner and Jimmy Little. Real ales currently on ale are Banks’ Amber Bitter and Thwaites Original. The HOURGLASS at Stanwix Carlisle has been taken over by Alex and Ilka who run the excellent Thin White Duke in Devonshire Street. After a New Year’s Day party, the Hourglass closed for a significant refurbishment and is due to reopen, in two to three months, as a bar and restaurant. Real ale will continue. The CROWN INN at Stanwix is now serving Crown Ale (Tetley Bitter) and Greene King IPA. It will close later this year for refurbishment. Barfly will provide more details when he hears from Andy the new manager. The CUMBRIA PARK HOTEL also in Stanwix has resumed selling Jennings Cumberland Ale which was in excellent condition when Barfly visited recently. Barfly has heard that the STAG INN, Warwick-on-Eden will reopen later this year following a major refurbishment. The QUEENS ARMS Warwick-on-Eden has been extended with the recent opening of the Garden Room. The CLICKHAM INN Blencow has introduced a new menu including a range of Tapas dishes to supplement its real ales. The BRIDGE INN Penton is closed for major refurbishment for the forseeable future. The expected refurbishment of the SHIP INN THURSBY will now take place in January 2017. Barfly has heard that the SHOULDER OF MUTTON, BRAMPTON is now selling 2 Pit Stop Brewery ales. The ST NICHOLAS ARMS CARLISLE is selling real ale again. Carlisle Brewery ales are to be found dispensed from 2 new handpumps. The MILBOURNE ARMS CARLISLE has a new manager and revised opening hours (check latest on Whatpub.com as these are changing as customer numbers are checked). The MOO BAR PENRITH has new winter hours. Closed on Mondays, 3 until Midnight Tuesday-Friday and 12 to Midnight Saturday and Sunday. The following pubs in our area are currently for sale, The BIRD IN HAND, OULTON; THE LOWTHER ARMS AND NEW VIC. in PENRITH, and the SOUR NOOK INN. The NOSEY COW INN, CARLETON near CARLISLE has opened. Bar Fly has not had a chance to check this out but hopes to soon. The CROWN INN, STANWIX has changed managers and is now serving meals every day. Barfly is pleased to note that the WHEATSHEAF INN, ABBEYTOWN has reopened with a new owner. The same applies to the SALUTATION, IRTHINGTON. Barfly has been informed that the SHIP INN THURSBY will be closed for 2 weeks starting 14 November for refurbishment. The Crown & Thistle, Stanwix has replaced its regular beer, Sharps Atlantic/Doom Bar, with another guest beer meaning two changingguest beers will be on sale. the MILBOURNE ARMS CARLISLE has re-opened with two real ales on sale. Work is progressing to open the NOSY COW INN (formerly the Green Bank Inn) at CARLETON on the southern outskirts of CARLISLE. No date has been set but two hand pumps have been installed. A community group raised sufficient money to purchase the STAG INN, CROSBY-ON-EDEN however they were outbid. Barfly has heard that new owner hopes to reopen it in the near future. A community group in IRTHINTON failed in their bid to purchase THE SALUTATION. Bar Fly has heard that the successful bidder plans to re-open the pub. We look forward to another excellent pub re-opening soon. For the second year running, the DROVERS REST MONKHILL has been selected by the Cumbrian branches of CAMRA as our Cumbria Pub of the Year. This is a superb achievement for Bill, Linda, Sarah and Sandy. The DOCKRAY HALL (formerly Gloucester Arms), PENRITH bought by Cumbria Legendary Ales, has re-opened after extensive refurbishment. Five real ales are on sale from the excellent Cumbrian Legendary Ales range. It is excellent news to hear that the ROBIN HOOD SMITHFIELD has re-opened after being closed for a short while. The pub is under new management, Matt and Carrie-Ann. On handpump is Timothy Taylor Landlord. Barfly has heard that sadly The WHEATSHEAF at ABBEYTOWN will close on 31 August when the current tenants leave. The CROWN & THISTLE, STANWIX,CARLISLE has replaced its regular beer, Sharps Atlantic/Doombar, with another guest beer meaning two changing guest beers will be on sale. The pub is undergoing refurbishment which will be completed by the end of September. The MILBOURNE ARMS CARLISLE has re-opened with a new manager.On his recent visit Barfly noted that the two real ales on sale were Allendale Pennine Pilsner and Deuchars IPA. A community group has raised sufficient money to purchase the STAG INN, CROSBY-ON-EDEN and their offer has been accepted by the brewery.This is great news and we look forward to this excellent pub re-opening in the near future. The QUEEN INN, GREAT CROSBY closed on 11 August following the departure of the licensee. Barfly hopes a new tenant will be found soon to allow this the last pub in the village to reopen. The former Corby Bridge Inn is currently being converted to housing. A community group has failed in their bid to purchase the SALUTATION, IRTHINGTON. Bar Fly has heard that the successful bidder plans to re-open the pub. For the second year running, the DROVERS REST MONKHILL has been selected by the Cumbrian branches of CAMRA as our Cumbria Pub of the Year. The ever-changing range of real ales are always kept in excellent condition. Making a welcome return, the JOINERS ARMS NEWTON ARLOSH has started selling real ale, these were both from Hesket Newmarket when Bar Fly visited. The DOCKRAY HALL, PENRITH (formerly Gloucester Arms), bought by Cumbria Legendary Ales, has re-opened after extensive refurbishment. Five real ales are on sale from the excellent Cumbrian Legendary Ales range. Barfly was pleased to note that the HOPE & ANCHOR PORT CARLISLE re-opened on 5 August under new management. It is excellent news to hear that the ROBIN HOOD SMITHFIELD has re-opened after being closed for a short while. The pub is under new management, Matt and Carrie-Ann, and commenced trading on 5 August. Bar meals are available whilst on handpump is Timothy Taylor Landlord. Sadly THE MOO BAR,CARLISLE has closed until further notice. THE JOINERS ARMS, NEWTON ARLOSH reopened on 15 July. It is now selling real ales from 2 handpumps. Constantly changing mainly local ales. THE DOCKRAY HALL, PENRITH (formerly Gloucester Arms) reopens on 28 July selling a range of real ales from Cumbrian Legendary Ales brewery. THE ROBIN HOOD SMITHFIELD reopens on 5 August and will be selling real ales and real ciders from Waulkmill. THE MUSEUM CARLISLE has changed hands and will be CLOSED for 10 days in early August 2016. ACV's have been agreed for the STAG CROSBY-ON-EDEN and THE SALUTATION IRTHINGTON. LINTON HOLME CARLISLE is holding a beer festival on weekend of 27-28 August.